Just when we thought we had the international incarnation of the HTC J Butterfly/Droid DNA all sorted out, a post made on the company’s German Facebook page goes and spoils everything, as it appears the HTC Deluxe won’t be Europe’s answer the J Butterfly/Droid DNA after all. The news comes after an HTC spokesperson responded to a new round of leaked images of the Deluxe, saying — after a little translation — “the Deluxe unfortunately will not come to Europe.” How annoying. A series of press-style images of the Deluxe, this time named the HTC Deluxe DLX, an amalgamation of several potential names, appeared late last week, showing the phone in black, white and brown color schemes. The source told GSMarena.com that we would find out more on December 6, but didn’t elaborate further on the situation. Prior to this, a leaked picture of the phone appeared on Twitter using the HTC Deluxe name, along with a short description saying it was a “global edition.” Since then, we’ve been eagerly awaiting some news from HTC itself, and in traditional be careful what you wish for terms, now some has arrived it’s not quite what we expected. There are several possible scenarios here. The first is the J Butterfly/Droid DNA won’t be coming to Europe at all, the second is that it just won’t be doing so under the Deluxe name, and third, the HTC spokesperson has got it all wrong and we’ll hear good news on December 6. It’s difficult to understand why HTC wouldn’t bring a re-branded Droid DNA to Europe, as it’ll never reach former heights by releasing cool phones in fewer markets. The wording of the Facebook post suggests the Deluxe does exist, which could mean it’s off to parts of Russia, Australia or other Eastern countries, and Europe will get the HTC DLX or the HTC One X5 — two other names linked with the phone. 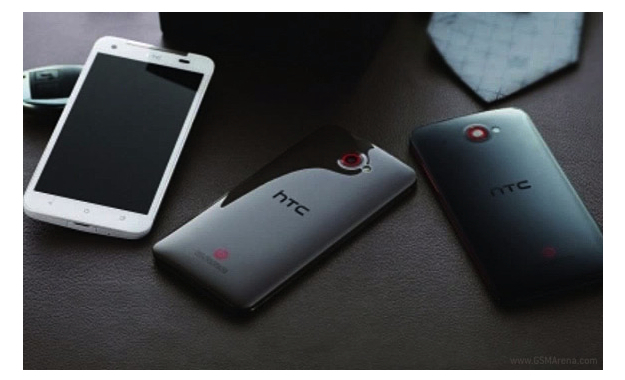 The one slight concern is the handling of previous Droid international releases, and not only by HTC. The original Droid phone came out in October 2009, and was renamed the Motorola Milestone for the rest of the world. It took several months before it arrived in Europe and even when it did, its availability was limited to an online retailer, where it sold out almost immediately. Other subsequent Droid phones have met with a similar fate. Despite the doom and gloom, it just seems so unlikely that HTC would not take advantage of its position as the first manufacturer to offer a smartphone/tablet hybrid with a 1080p screen in the UK and Europe, particularly as there is plenty of competition on the horizon. Although the dream has taken a hit this weekend, it’s still alive, and a more positive statement from HTC headquarters is all that’s needed to see it back on its feet. Could that come on December 6?